The towns of Okotoks and High River were not among the areas that welcomed newly opened marijuana dispensaries on Oct. 17. That was the day that recreational cannabis use became legal for adults to buy and possess across Canada. “I definitely think that cannabis can be a great thing,” said Okotoks resident, Desiree Anstee. And Desiree Anstee and her business partner were ready to go. They were originally going to be opening up stores in Okotoks and High River called Smiley’s Cannabis and Budz. But a surprising thing happened on the way to the pot market: They got an offer from a larger company, High Tide to buy them out. And after considering it, they said yes, which meant they didn’t open up their stores. The last-minute deal appears to be the first example of consolidation in the budding industry, in Alberta at least. It is a trend that many expect to continue as legalized cannabis retailing finds its feet over the next year. It also parallels the consolidation of outlets that followed the privtization of liquor retailing in Alberta in 1994. Anstee wouldn’t say how much money High Tide offered them. But the offer capped a busy period of planning and preparation by the two women, which was highlighted by another attempted take-over. The process that Anstee had to go through to obtain a license to sell was very difficult. “It was about $10,000 to get this package where you get all of your background checks,” Anstee explained in an interview. She had to meet with the RCMP in Edmonton and the head of the Alberta Gaming, Liquor and Cannabis Commission (AGLC) prior to passing the background check. During this period, the realtor for the planned locations for Smiley’s Cannabis and Budz was offered $10,000 in cash, to give up the locations to a different, anonymous buyer. This offer was declined. 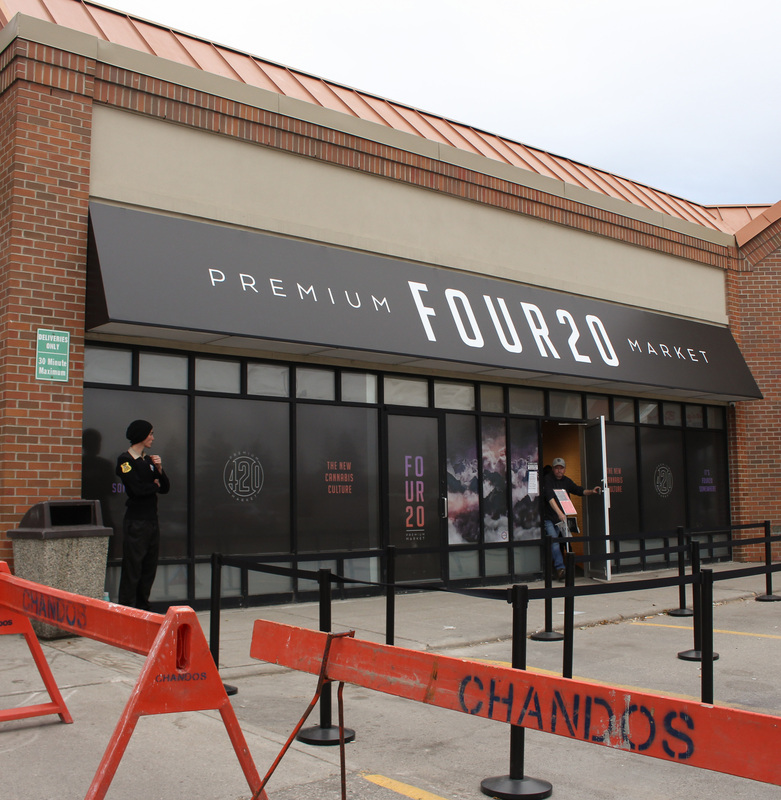 After Smiley’s Cannabis and Budz successfully obtained their business license, their 21-day appeal period began and they were on track to be the only stores opening in Okotoks and High River on Oct. 17. Anstee and her partner were weeks ahead of other potential dispensary owners until they got the last-minute offer that they couldn’t refuse, from High Tide. High Tide is a privately-owned Alberta based cannabis business. It owns stores such as Smokers Corner, Canna Cabana, RGR Canada, and Famous Brandz. “I think that the reason they bought it was, they got approved for a license but didn’t have a location. All of the locations were taken up within a very short amount of time,” explained Anstee. Because Smiley’s Cannabis and Budz have been bought out by High Tide, the locations are not ready to open, which leaves Okotoks and High River out of the areas that have dispensaries. As of Dec. 1, neither community had a dispensary in operation. Anstee gave up her former job when she and her partner were sure they were going to be running dispensaries. Now that they have sold that business, she is unsure of what her next steps are. “I wanted to be a part of something so new,” said Anstee. Anstee is unsure if she will try to remain in the marijuana business because she has already gone through the lengthy process of getting a license. “I think it’s unfair that there are no stores yet in Okotoks, or High River,” said High River resident Christie Baher. Baher is a supporter of the legalization of marijuana. “It’s definitely going to be beneficial and great for the economy,” said Baher. Baher was raised in a household where both of her parents held a medical marijuana card, and she was taught about all of the health benefits associated with cannabis use. “They didn’t raise me to believe that it was a gateway drug,” said Baher. “They simply taught me that it was a plant that helped relieved my mom’s arthritis and my dad’s arthritis and stress. “Meanwhile in school, they’re teaching us that it’s something that needs to be avoided at all costs,” she said. Baher hopes that there will be news given soon to residents on when they are expected to open. 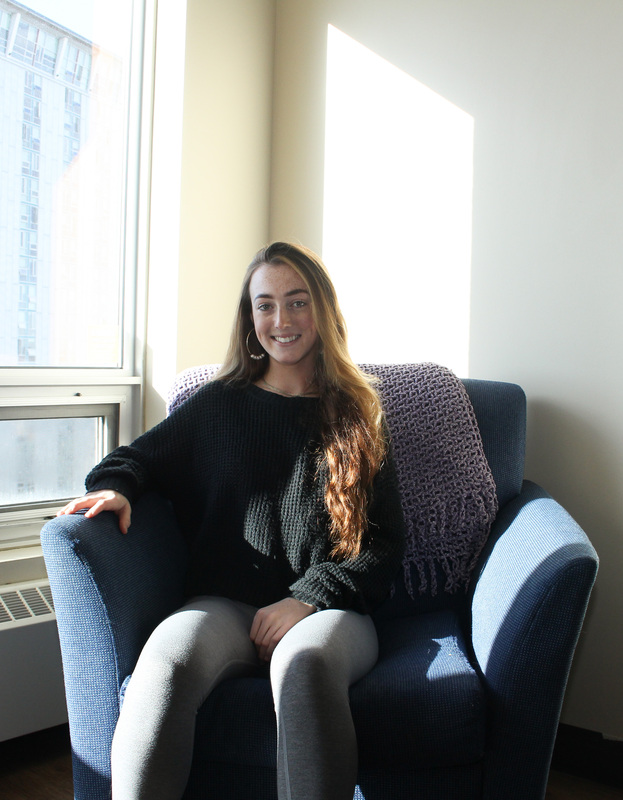 As a news reporting and communications major in the journalism program at SAIT, Miriam Halpenny is working as a writer for The Press during the 2018-19 academic year.